The climate in Thekkady remains moderate all throughout the year. 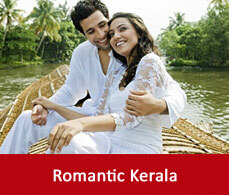 Because of its soothing temperature round the year makes Thekkady an all time tourist destination. 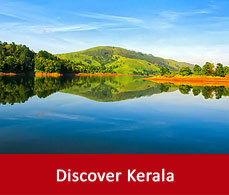 But to make your understanding about Thekkady’s climate more detailed the month wise list has been provided. This time period of the year Kerala enjoys the Summer season.In tourism aspect this time is not so ideal for sightseeing but yes,it is surely the best time for wildlife lovers as the chances of spotting wildlife increases. 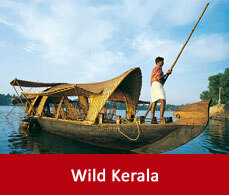 So, Thekkady in May is the ideal time for wildlife touring as it is one of the major activities to do in Kerala. As the month of March starts it still remains ideal for sightseeing as the temperature starts to warm up that time. The gateway to the famous Mangala Devi temple opens up during this time of the year. Starting from April the sky remains clear but the temperature starts to heat up to 36 degree celsius. From June the monsoon or the rainy season starts there and continues till March. Heavy rainfall occurs accompanied by some landslides as well. But the greenary of the surroundings becomes more vibrant and bold. So, this is the best time for nature enthusiasts and you can enjoy the off-rates in the hotels and resorts s well. Thekkady weather remains mostly clouded accompanied with cool breeze. For the rain lovers this is the best time to visit.